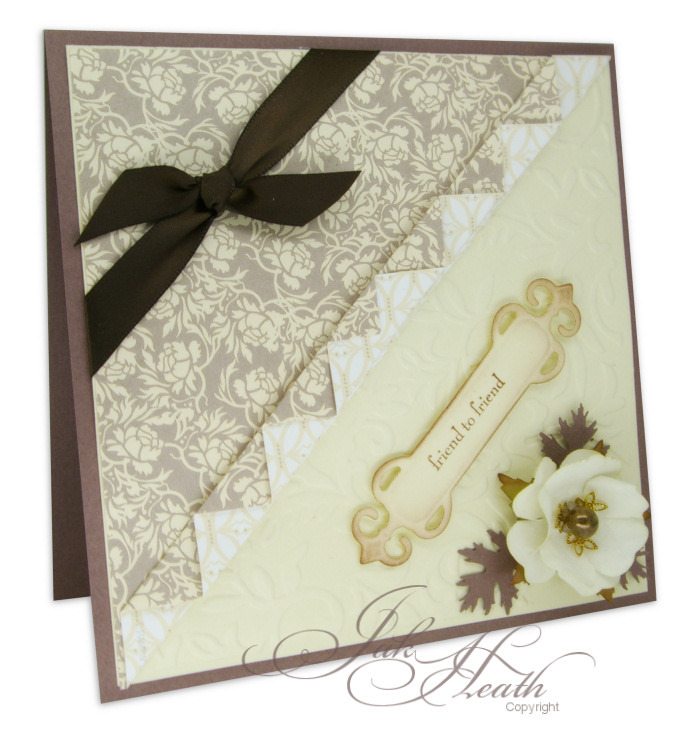 A chocolate card base and pretty paper and some cream card embossed using the Victoria A2 Cuttlebug folder. A fancy paper fold with a double sided paper, a diagonal concertina fold. The flower was a mishap, I cut off the stem and the centre bud dropped out so I used a bead and a gold finding to replace it. Beautiful card. The flower is gorgeous. So pretty....love how you concertinaed the paper. Yummy -- gorgeous paper, gorgeous fold, gorgeous flower!!! Love this! Love the Chocolate brown card stock used. That paper fold is wonderful and a gorgeous flower. All in all a superb card Jak. A really stunning card, Jak!!! Your 'mishap' flower is lovely. Lovely card Jak, I only wish my flowers could look as good as that deliberately! 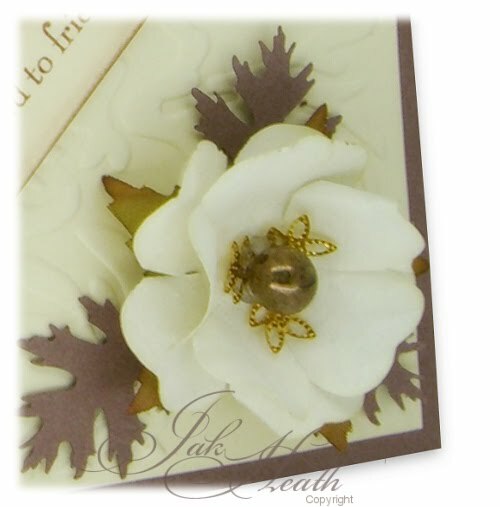 Love the fold Jak, and like the happy accident with the flower - bet you will be using that idea again, as it worked a treat. Very beautiful and elegant card! Love the folds and that flower!! Beautiful and elegant - your cards are always so perfect!! Simply beautiful, love those folds! 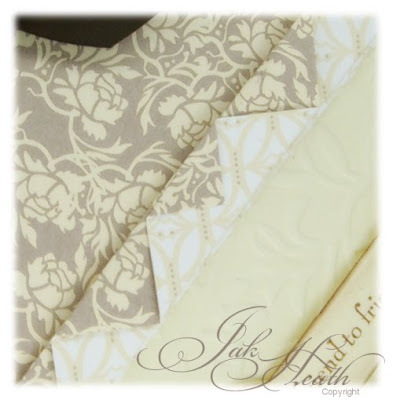 Gorgeous, Jak - love that fancy fold! 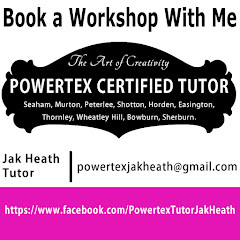 Beautifull card Jak ---its so classy !